Joe Mazza will be the 2015 Keynote at #NEFETC. Dr. Joseph Mazza is a lifelong learner, leader, and innovator. Joe currently serves as the Leadership Innovation Manager at The University of Pennsylvania’s Graduate School of Education. In this role, Joe works with faculty, students, and alumni of the Mid-Career Doctoral Program in Educational Leadership. In addition to his work at Penn, Mazza is internationally recognized as a leader in family-school partnerships and engagement, including his service as an advisor on these topics to the Institute for Educational Leadership in Washington, DC. Prior to serving in these roles, Dr. Mazza enjoyed a distinguished career in K-12 public education as a teacher, principal, and district office leader. After a successful career in the classroom, Joe moved into school leadership roles, including several years as principal/lead learner at Knapp Elementary School in Lansdale, Pennsylvania. During his tenure at Knapp, the school became recognized around the globe as a community of excellence, specifically in the areas of family engagement, technology, and using a variety of social media platforms to extend learning for students, staff, parents, and community members beyond the walls of the school itself. 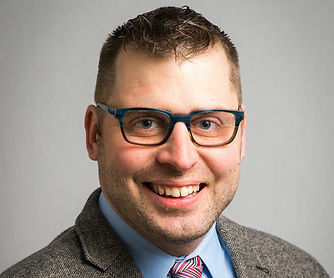 Based on his successes leading the school in these and other areas, Joe was tapped to serve as the district’s K-12 Project Manager for Connected Teaching, Learning, and Leadership. Mazza has now extended his work in the areas of technology, innovation, and leadership into the business sector through his company, c64KID INNOVATIONS (c64kid.com). Joe established this innovative, service-oriented venture as a way to support small businesses seeking to grow their client base and extend the reach of their products, services, and resources. As an accomplished digital strategist with a proven track record of success, Joe provides social media coaching services designed to meet the unique needs of the clients he serves, equipping them with up-to-the-minute information, market research, and innovative (high and low tech) strategies they can use to maximize their productivity. Mazza earned his doctoral degree in Educational Leadership from the University of Pennsylvania. In addition, he earned a Master’s Degree from National Louis University and a Bachelor’s’ Degree from Pennsylvania State University. Joe and his wife, Lauren, live just outside Philadelphia with their children, Mark and Molly. Please connect with Joe via Twitter (@joe_mazza), his websites (c64kid.com and innovationslab) and email (joe@c64kid.com).